In this process, the selector brushes separates the threads according to the provided lease, securely by the movement of lease pipes. For the warps, leased by machine after sizing with double lease or warps wound on sectional warping. 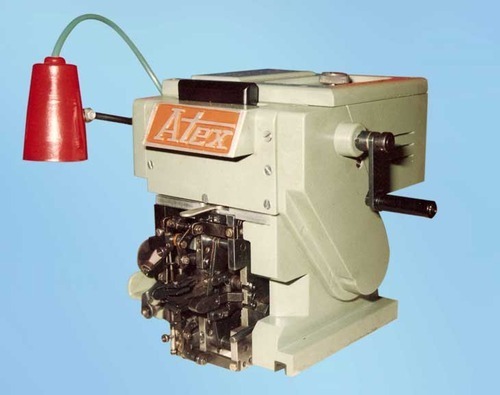 ATEX Industries with technical expertise and innovation as our forte, we are engaged and recognized as Manufacturar of Textile Warp Tying Machines & Knotting Machines. Atex Industries is pioneer & formed with a mission to provide products that improve the opportunity for our customers success. Our dedication to the principles of hard work, hands-on involvement, and utilization of our experience associates are the foundation of our approach. Atex Industries offers exceptional products and services to the Textile Industry with a focus on yarn producers and weaving manufacturers in the India and Abroad. Based on years of practical experience, our technical associates and product engineers are well equipped to design solutions, provide support, and be a partner for proper maintenance and care of our products. From fiber to finished products, we have solutions to every demanding requirement.